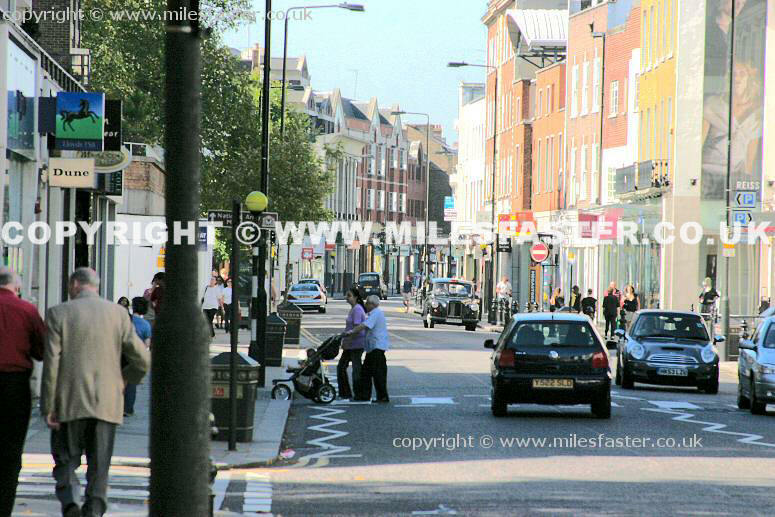 Pictures from Kings Road, Chelsea. 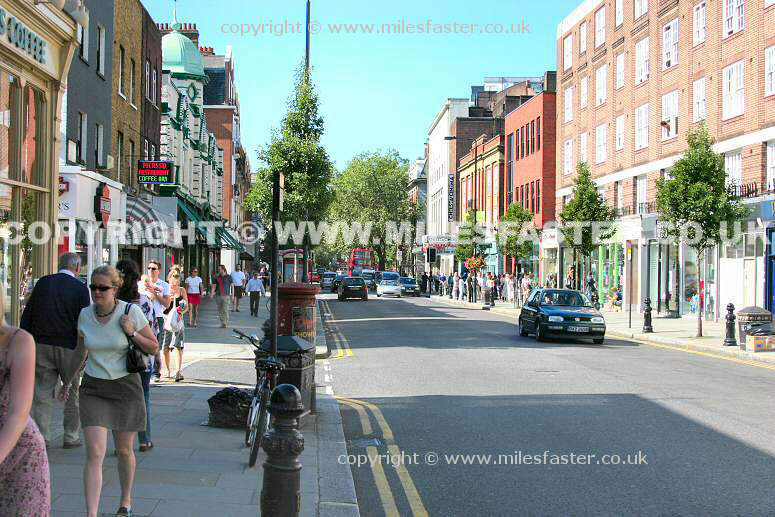 This is one of the most popular shopping areas in London and beyond. 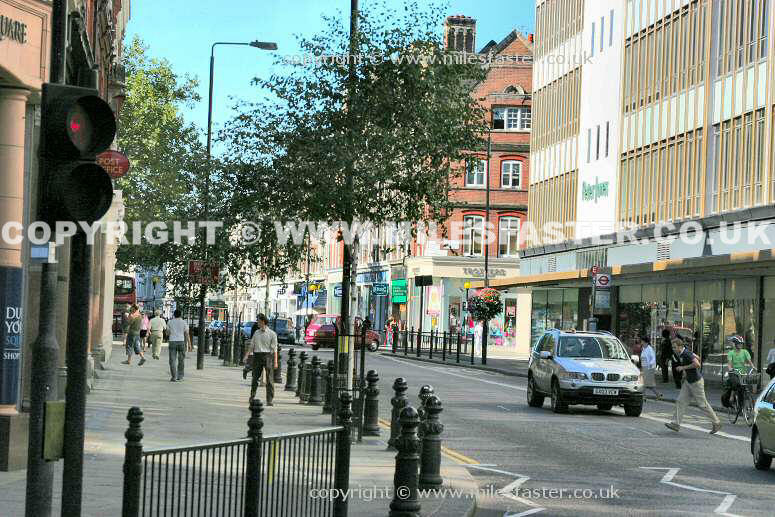 Long known as a leader in fashion and boutique shops, you will find all sorts of amenities including plenty of pubs and restaurants as well as supermarkets, cinema and Library. 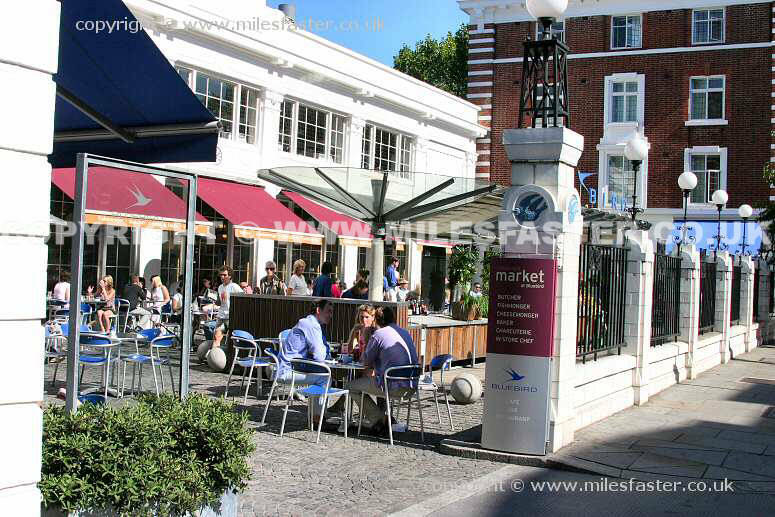 Extending from Sloane Square and down to New Kings Road and Chelsea Harbour. 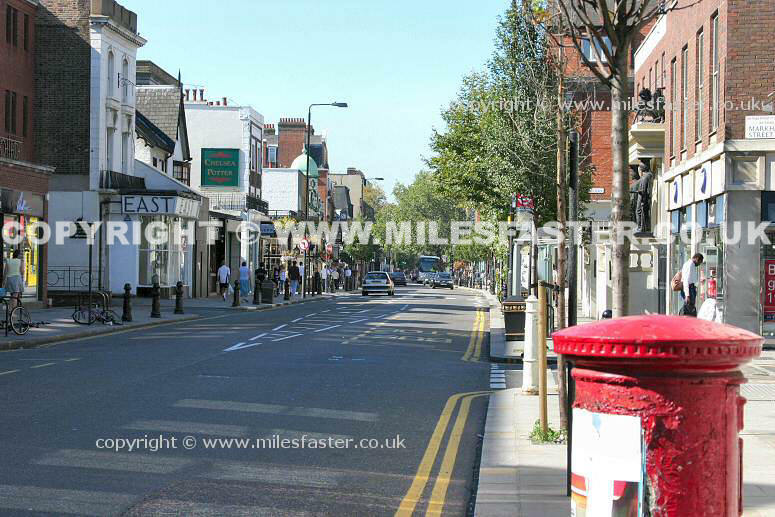 The Kings Road takes in the postcode of SW3. 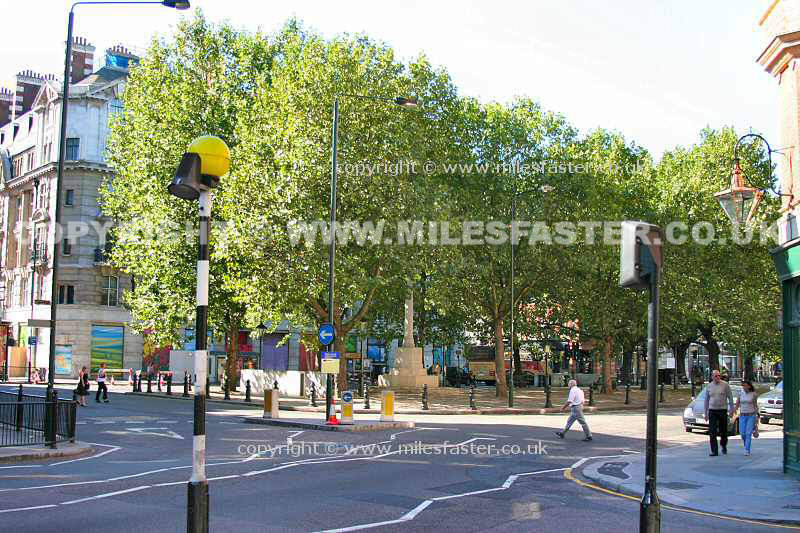 Sloane Square which marks the start of Kings Road, Chelsea. 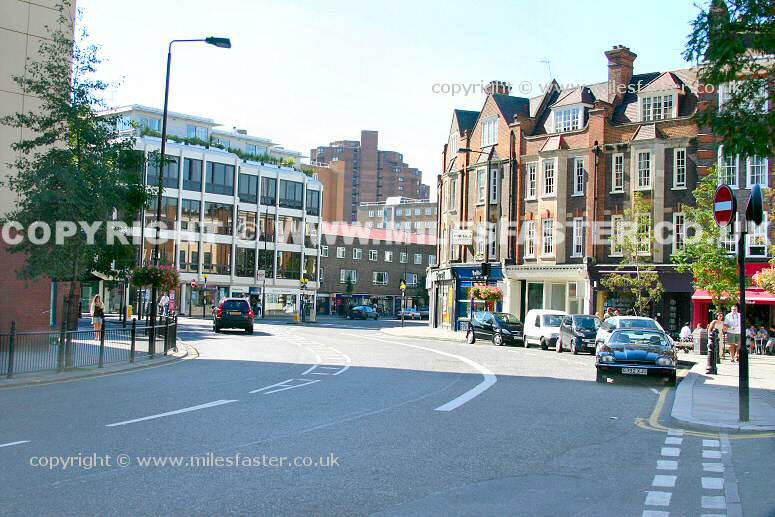 Kings Road starts in the opposite corner , Sloane Street on right. View is looking West. 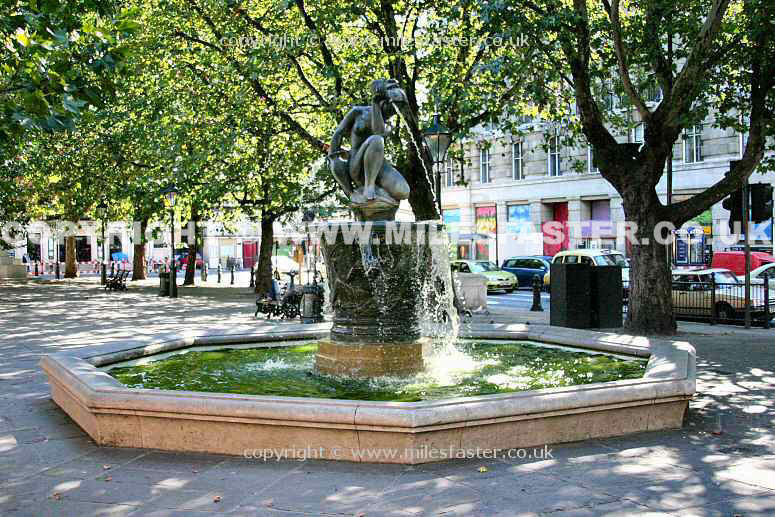 Fountain on Sloane Square. Viewed from West side looking South East. 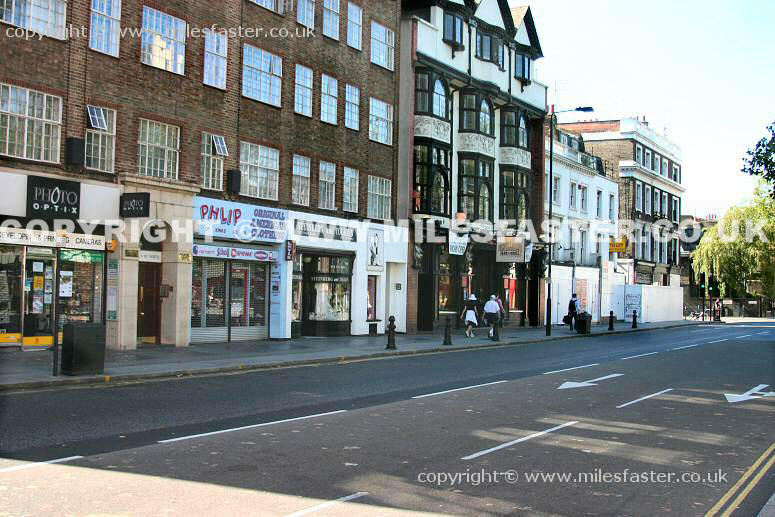 ooking down Kings Road from its start at the junction with Sloane Square. 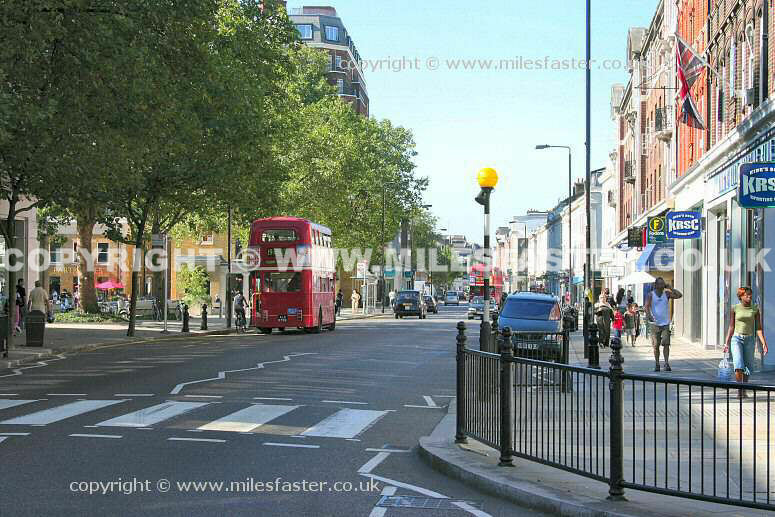 Looking West down Kings Road from Junction by Cadogan Gardens. 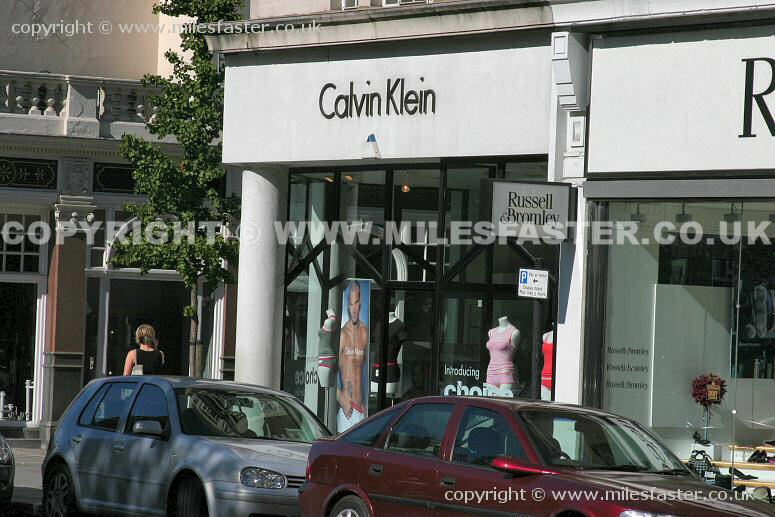 The Kings Road is full of top brand names. 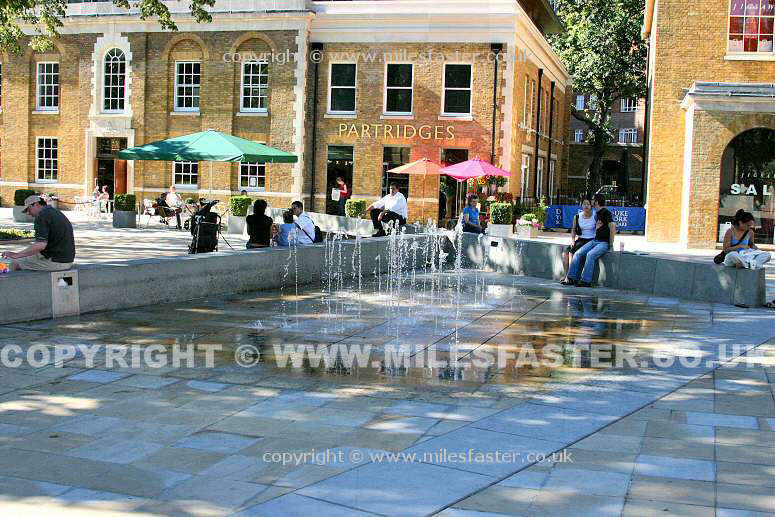 No, not a water mains leak, the pavement on this part of the Kings Road is actually designed to be a fountain. 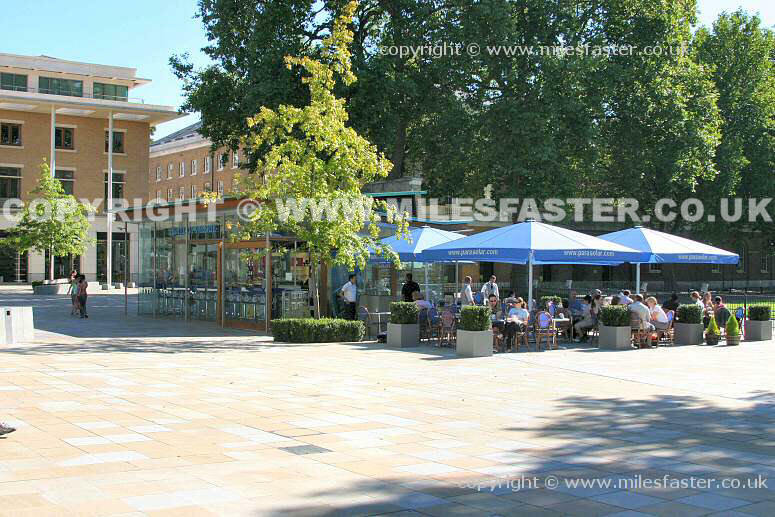 A pleasant area to enjoy some refreshments, Duke of York Square. 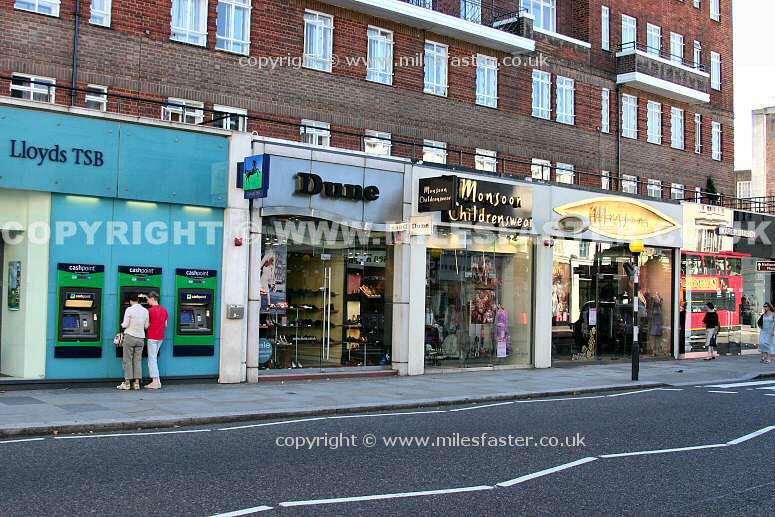 Further on down Kings Road. Most culinary tastes are catered for. 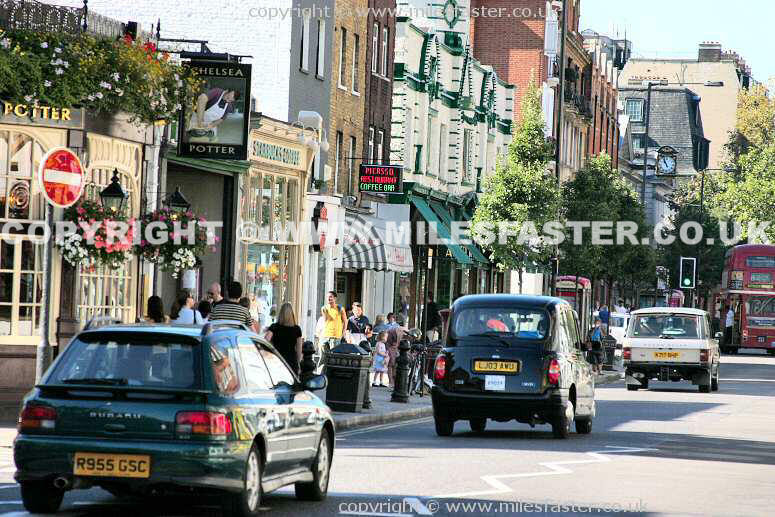 Walking West along Kings Road, Chelsea. View 4. Walking West along Kings Road, Chelsea. View 5. 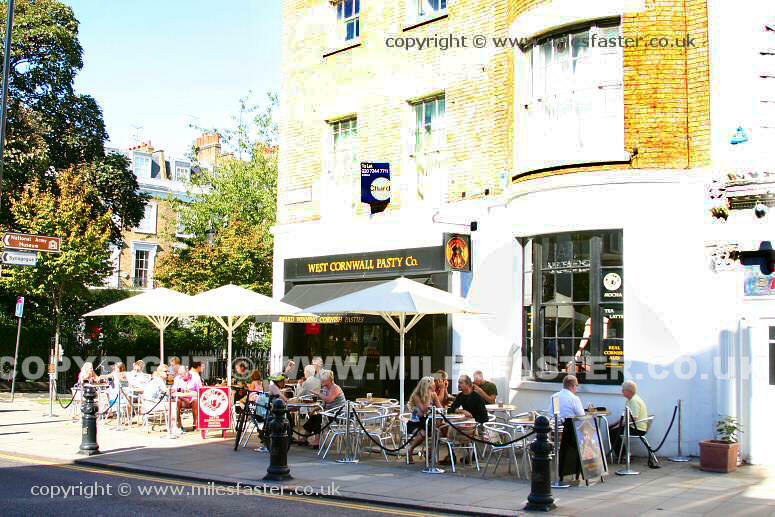 London may be nowhere near Cornwall but on the Kings Road you can still enjoy a snack on a West Cornwall pasty! Walking West along Kings Road, Chelsea. View 6. Walking West along Kings Road, Chelsea. 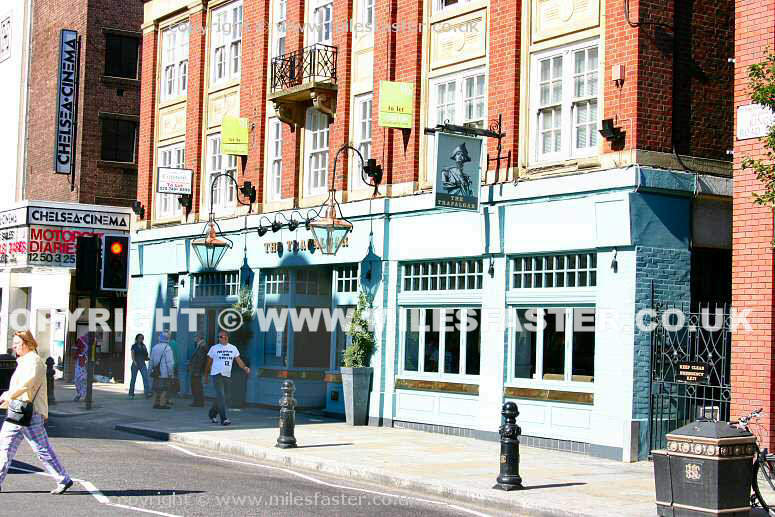 View 7, by Markham Street. 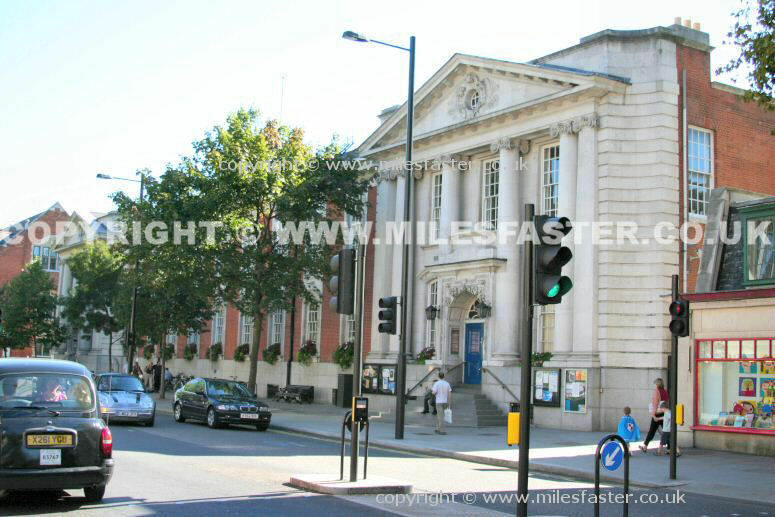 This charming looking building is a Pizza Express. Walking West along Kings Road, Chelsea. View 8. Walking West along Kings Road, Chelsea. View 9. 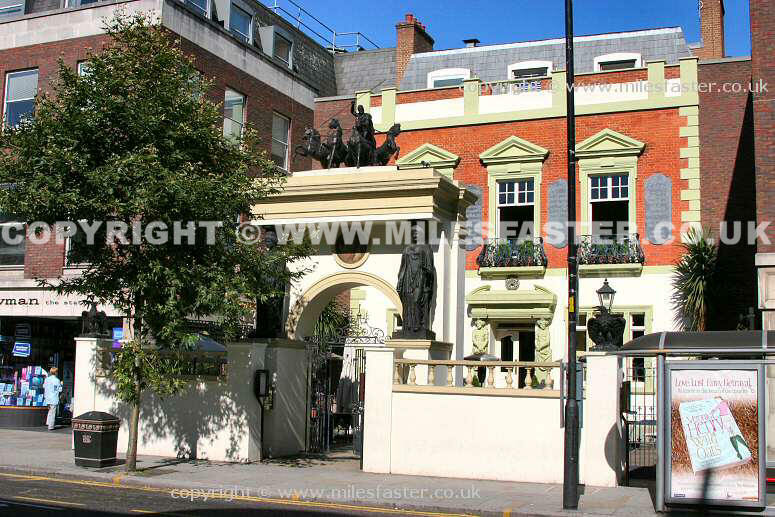 Earls Court Gate entrance looking North towards the dog exercise area. Walking West along Kings Road, Chelsea. Nearing the end of the commercial part of the Road. View 10. Market at Bluebird. 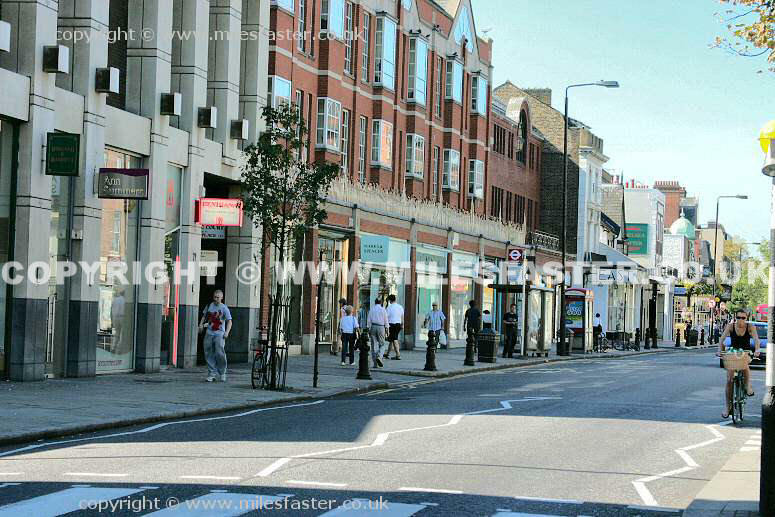 A market approach to retail by supermarket chain Sainsbury's. Dovehouse Green. 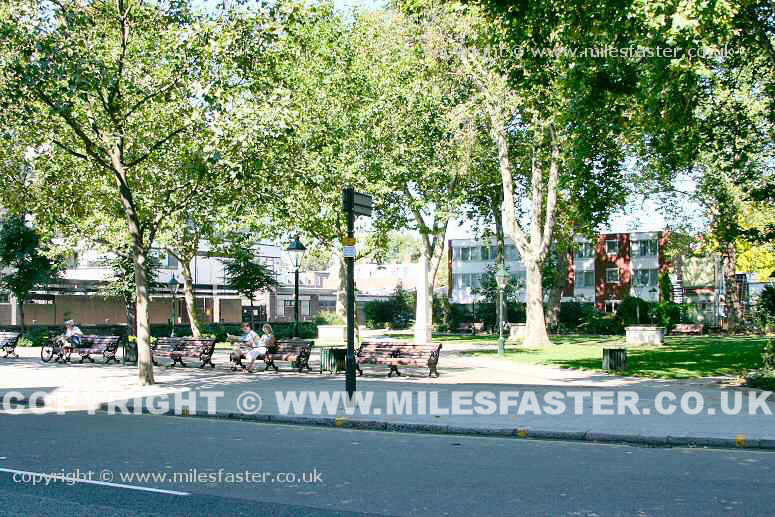 The old burial grounds given by Sir Hans Sloane 1733 was renamed Dovehouse Green and re-laid out to celebrate the Silver Jubilee of Queen Elizabeth II 1952-1977, and the Golden Jubilee of the Chelsea Society 1927-1977. 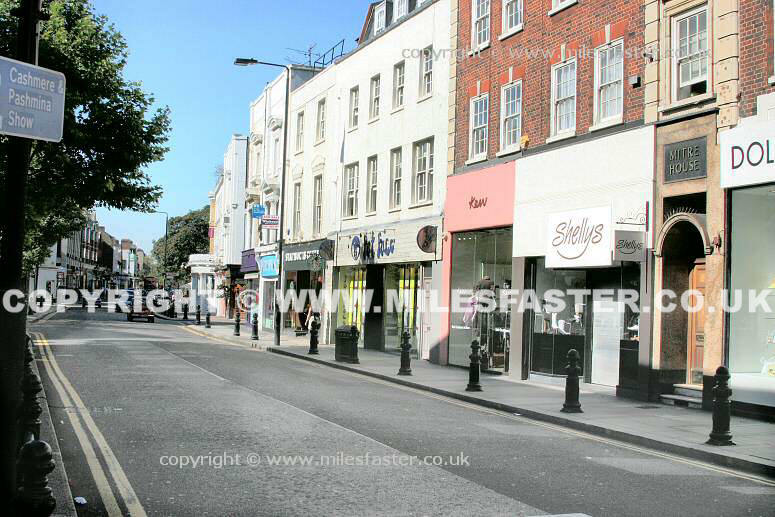 Nearing the end of the commercial part of Kings Road Chelsea. View 11.